If you are looking for a reliable and experienced plumber that can handle your home or business repairs, installation or simply honest advice that you can trust, call Cold Ridge Plumbing. In today’s fast paced world, you don’t have the time nor the resources to interview multiple contractors or shop around for the lowest price for the same work. CRP has the experience to ensure that your work is completed correctly the first time and the conscientiousness to work affordably for you and your family. Cold Ridge is a full-service company and contractor with over 21 years of reputable service history of which we pride ourselves on. Fully Insured and Licensed in both Tennessee as well as North Carolina, you can feel confident that you are hiring a true professional with an affordable approach to your needs. While finding an affordable plumber is obviously important to everyone, CRP does not use low quality parts and supplies. You want a long lasting supply or water from your faucet or to your fixtures. The use of low quality parts and supplies, while they may be attractive in the short term, may lead to more expensive repairs in the future. You don’t want to be thinking about your system that should be operating quietly, out of sight, 24 hours a day, year in and year out. 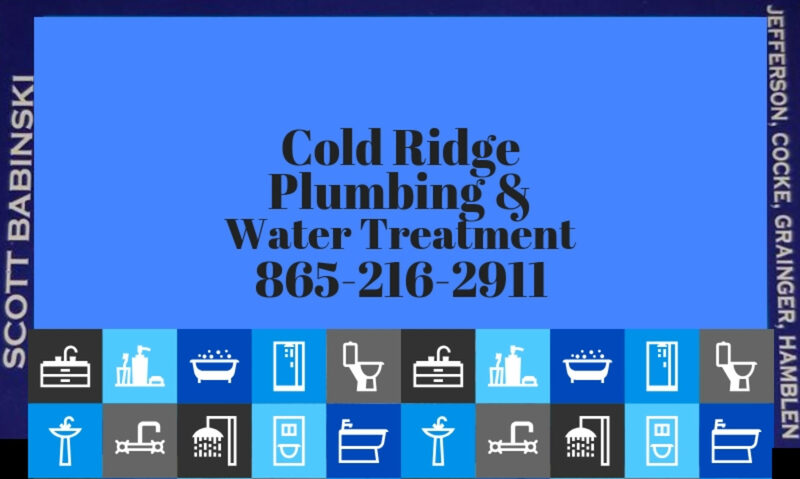 Make the right choice the first time and you and your family will be able to rest easy with the comfort of the decision to use Cold Ridge Plumbing. While you may only think about water lines, water heater, sewer lines, toilets and sinks, there is much more to your water supply system. The water treatment system, dishwashers, laundry machinery, outdoor spigots, ice makers, the maze of copper and PVC lines that carry water throughout your home, all are one of the comforts that make up your household plumbing system. Any one of these can dramatically disrupt your course of life if there is a plumbing problem. 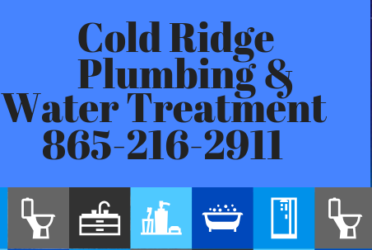 Cold Ridge Plubing is the #1 Plumbing and Water Treatment Provider in East Tennessee Servicing both Urban, Rural, and Metropolitan areas equally with custom plumbing services.